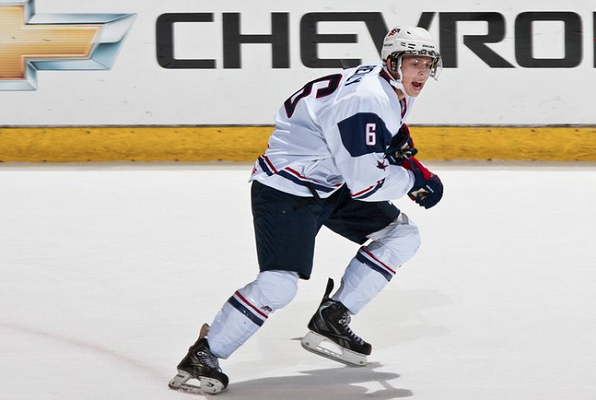 The Kings pursuit of free agent college defenseman Mike Reilly continues. He was even in Los Angeles recently to tour the team’s training facility and get a firsthand look at the lay of the land. However, things may have hit a significant wrinkle since. We specifically asked a second contact to compare Reilly to Paul LaDue, a top-10 ranked Kings prospect, who also plays college hockey. Now, will he sign with the Kings? As discussed in detail last week, it won’t come down to money; with NHL teams only allowed to offer a two-year entry level contract plus some mild bonuses. What could be the deciding factor then? MayorsManor has learned that Reilly’s camp has asked for a guarantee that he will be in the NHL next season. 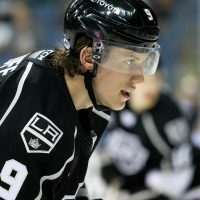 Allegedly, Kings GM Dean Lombardi has said the Hobey Baker finalist will have every opportunity to make the team out of training camp, but nothing will be a given. You can’t fault the kid for trying, that’s all part of the negotiating process. On the other hand, if the Blackhawks have a spot waiting for him on their 2015-16 roster, that could be just enough to sway Reilly’s decision towards Chicago. 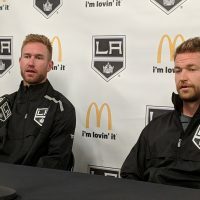 While some believe that to be the case, the reality may in fact be they are in a situation fairly similar to the Kings – one defenseman too many already and several questions to be answered regarding how to piece it all together. Coach Joel Quenneville will definitely have Duncan Keith, Brent Seabrook, and Niklas Hjalmarsson coming back. Yet, even with Johnny Oduya likely leaving, they would still have Trevor van Riemsdyk, Michael Paliotta, Stephen Johns, David Rundblad, and Erik Gustafsson fighting for spots. We shall see soon enough how it all plays out; a decision is likely this week. Regardless of Reilly’s decision, though, the Kings already have their hands full on defense. This is so frustrating. What is wrong with Dean? 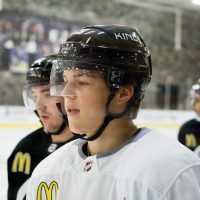 First you completely lose out on a young top 6 forward on an ELC, the type of rare asset that can make or break your season, in Prokhorkin, because you won’t guarantee this KHL all-star who has to move his family from his homeland to LA that he’s going to get a roster spot over the likes of Dwight King, Mike Richards, Trevor Lewis, etc. Now the situation is repeating. You have a chance to sign a blue chip D that the whole NHL is after, again on an ELC, for nothing in return, LITERALLY the ONLY easy, long-term fix to the defense that the Kings have available to them given their cap troubles that doesn’t involve giving up major assets, and even though the whole league wants this guy, here you go again with Dean and his scouting staff nitpicking his defense and refusing to even promise this guy the #6 slot on D, while meanwhile the rest of the league is begging this guy to come to be their #1, #2, or #3 dman. But yeah, we have Paul LaDue, so we don’t need this guy. That’s why the whole league is talking about Paul LaDue right now and no one is talking about Reilly. Sure, Reilly has elite talent, and the potential to be a #1 dman, but you know what, right now, in junior, Paul Ladue is a little bigger, ya know, and he’s a little better defensively in the completely unbiased, zero-conflict-of-interest eyes of a Kings scout. Sure, Mike Reilly could be the next P.K. Subban, but Paul Ladue has good defense! Ya, no contest there. And who is the frontrunner for Reilly now? The Blackhawks, the Kings biggest rival. Looks like they don’t have the same hang-ups about letting superior players play on their team. Literally this one decision by Dean, not doing what’s necessary to sign Reilly and letting him go to the Blackhawks, could determine the next five years in the western conference. I’ll take it further: Dean fails to make it worth Prokhorkin’s while to come to LA, despite drafting him, while the Blackhawks manage to convince Artemi Panarin to join them from the KHL even though they never even drafted him. That’s already a two-player swing. Kings lose out on the skilled forward depth they desperately need with Prokhorkin, while the Blackhawks bolster theirs. +1 for the Hawks, -1 for the Kings. And then the same with Reilly. The Kings and Blackhawks are in similar situations with their cap and defense depth. The Kings lost Mitchell and Scuderi the last two years. The Blackhawks will likely lose Oduya this year. Both are in big need of an upgrade, but don’t have the $ to sign an NHL star. Mike Reilly is the one joker card each team has to play. And yet Dean is going to let Chicago beat them out here as well. +1 Hawks, -1 Kings again. That’s a total of +2 hawks -2 Kings just on these two decisions, a 4-player swing of the quality of Reilly, Panarin, and Prokhorkin. 4 good players. 4 skilled players. 4 young, cheap players with huge upside. And you let your biggest rival plaster you with a 4 player swing just like that, just because you want to be all old school and refuse to promise one of the most talked about and most promising young defenseman out there that he will get ice time over Matt Greene. I mean it’s just absolutely insane and so frustrating, and an exact repeat of the Prokhorkin situation where somehow Dean can’t see that there is literally no competition between this big, young, dynamic Russian KHL all-star, and the scrubs like Mike Richards you’ve literally been giving ice time in your bottom-six to over him. And yet Dean still won’t let these guys play for him. He’s willing to take Mike Richards’ “promise” to work out harder for the next ten years and earn his contract at face value, based on nothing, but not willing to make the most obvious promises ever himself. Dean Lombardi, ladies and gentlemen. 20 years from now they’re going to look back and ask, “wait, Dean Lombardi won a Cup? Daryl Sutter too? TOGETHER? BUT HOW!! !” This is just embarrassing. If you’re going to pass on Tyler Myers for Colten Teubert, damn, at least when you have a chance to kind of make up for it five years later by getting a top young dman for free since you missed the one you were supposed to, you take that chance! You don’t spurn it again and again and again. This is a very thorough and well articulated position — and I don’t disagree at all with the overdue shifting of our defense-first mindset. Is Reilly really that “next” guy? Never having laced up on NHL (or even professional) ice, it’s really anybody’s guess. Some guys make the leap right away, some can take 2 or even 3 years to really find their game. So in this specific case, I don’t necessarily disagree w/ Deano’s position: Kill it in camp, and the spot is yours. (And if you’re really that good, you shouldn’t be afraid to sing for your supper). 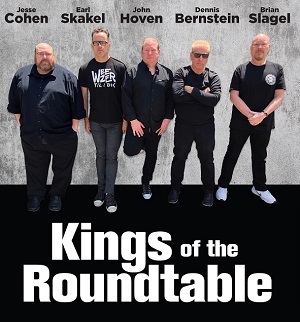 But if I’m the Kings GM trying to ice a Cup-contending team, do I give in to what is, by all rights, a pretty unreasonable demand of some kid who’s not even Doughty caliber (according to the professional scouts who do this stuff for a living…)? To be clear, it doesn’t say he demanded a spot. The article says he ASKED for a spot. Nothing wrong with asking – especially during negotiations. Also, really don’t see Prokhorkin as comparable here. “MayorsManor has learned that Reilly’s camp has asked for a guarantee that he will be in the NHL next season.” This is a lot of chutzpah for a kid that has never played one game of professional hockey. NHL history is replete with highly touted players that turned out to be busts. It seems to be quite a stretch that not giving in to this “guarantee” is somehow going to be the demise of the franchise. I’m usually all for idealism Steve, but the problem with this idealism is it’s not an idealistic take on reality, but rather an idealistic take on someone else’s thoughts and feelings, which is to say, an inaccurate, fabricated take on someone else’s thoughts and feelings. The problem, Dean has a history of keeping prospects buried in the minors, never to call them up. Reilly may feel confident in his ability to play well enough in camp to earn and deserve a roster spot, but he may also lack any confidence that Dean would actually notice his play and award him the roster spot he’s earned over a returning veteran. All these prospects know Dean’s history. They know that if Erik Karlsson was coming up through the ranks right now as a Kings prospect as part of some sort of time warp, that Dean Lombardi would not let Karlsson play on the Kings if it meant he had to replace Matt Greene. In Dean’s mind it’s almost as if veterans can never be replaced unless they retire or their contract runs out, or they do a Mike Richards. Reilly knows all that too. His agent will have told him about Bud Holloway and Oscar Moller leaving, Loktionov and Bernier asking for trades, Voynov almost leaving to the KHL too, Prokhorkov not feeling confident enough Dean would give him the roster spot he deserves if he came across the pond. His agent will have told him about Linden Vey patiently waiting his turn in Manchester every year, improving every year, only to traded before ever getting a chance to reunite with his AHL linemates. Dean has earned his reputation for burying prospects in the minors in order to avoid having to cut veteran players he has dinners with and gets way too emotionally with. He has earned his reputation for never even giving many of his prospects a chance to prove their talent in an NHL game. 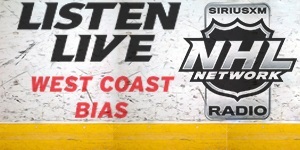 He has earned his reputation for having a bias towards older players and old school hockey-pc type of people over young players and actual hockey talent. Prospects know all these things, so it’s actually pretty nice of Reilly and any other ones to even consider us. Ultimately though, the Kings could still nab some of these free UFA prospects in the future because of where they play and their recent success, but they never will so long as Dean is GM unless he’s smart enough to guarantee these prospects roster spots when they deserve it, like in this case, and or at least make sure they understand that while Dean has buried prospects in the past, that he is going to change and make exceptions for them, in essence that he acknowledges they’re special and better than the old vets he has, and that he’s not going to let his personal relationships with those players get in the way of putting the best players on the ice this time. That’s what Dean should be doing, but I sense his personal relationships are tugging away on his heart strings almost as strongly as ever, aside from Richards and Stoll because Dean has no choice in those situations, plus they both let him down so it’s easier for him to stomach what must be done. But with guys like Matt Greene, who should be trade bait item #1 for the Kings but who you never hear the Mayor mention in rumors, I sense Dean still has a problem with his priorities. 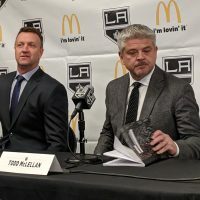 He could have Reilly in LA, and he could have had Prokhorkin in LA, if he really wanted, but at the cost of having to move vets he plays bridge with, and the cost of having to make decisions about who to move that otherwise wouldn’t exist, Dean doesn’t want to sign these guys at all, not unless he can justify keeping them in the minors for 5 years based on how he said he couldn’t promise them anyway until his beloved vets give up their roster spots voluntarily, which is the whole reason they ask for that guarantee now to start with.